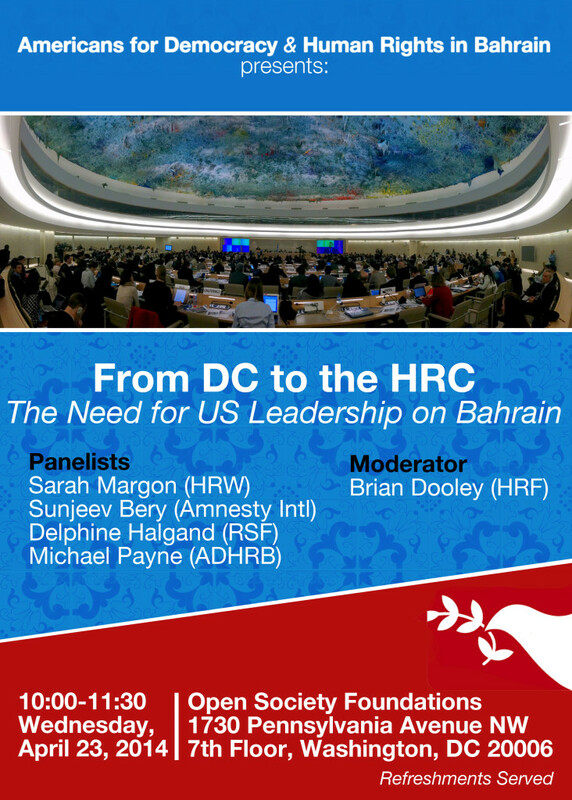 On Wednesday, I’ll be speaking about human rights in Bahrain at a DC panel organized by Americans for Democracy and Human Rights in Bahrain (ADHRB). Under the Universal Periodic Review, every country in the world goes through a human rights review by its peers in the United Nations. How has Bahrain fared under its review? How well has Bahrain’s government implemented the recommendations of governments and civil society? On Wednesday, I will get into the details when it comes to this repressive ally of the United States. Long-term stability in Bahrain can only be achieved through meaningful political reform, and we urge you to encourage the Saudi government to play a more constructive role in this regard. Being “more constructive?” That’s definitely an understatement. On 15 March 2011, Saudi Arabia sent at least 1,200 troops to Bahrain across the causeway linking the two states, reportedly at the request of the Bahraini government. The same day,the King of Bahrain declared a three-month state of emergency, known as the State of National Safety, and gave the security forces sweeping powers to arrest and detain protesters and ban all protests. Sanjeev Bery interview with SkyNews (UK), May 1, 2012, on the case of Bahraini Hunger Striker Abdulhadi AlKhawaja.